If you are already familiar with Perth and the surrounding area, check out the destination further to the South – the Margaret River region. Depending on how much time you have, you can make a short day-trip from Perth to Margaret River, or join one of the multi-day Margaret River tours from Perth. It goes without saying, if you want to get a real taste of the South West, consider spending at least a couple of days there. Margaret River region welcomes 500,000 visitors annually and rightfully deserves its iconic status for all the good surf and gastronomic experiences that you can have here. Enjoy your time taking photos at the Busselton Jetty, discovering the Mammoth Cave and the Boranup Forest, sampling the best of Margaret River’s wines and beers, and climbing the Cape Leeuwin Lighthouse to see where the Indian Ocean meets the Southern Ocean. Margaret River region is a 3-hour drive from Perth. If you are travelling by car, you will pass by a few places worth a stop on your way, such as Mandurah, Bunbury, Busselton, Dunsborough and Yallingup. There are two ways to get from Perth to Margaret River, from which the Kwinana Freeway is a half an hour faster route, and the South Western Highway happens to be more picturesque. Travelling from Perth to Margaret River by bus can also be hassle-free. South West Coach Lines provide transfers from the Perth City Bus Port, Domestic and International Airport to the South West daily. You can also take a bus from East Perth to Margaret River using TransWA services. If you do not want to deal with planning a trip from Perth to Margaret River, consider booking one of the guided Margaret River tours from Perth to have the best introduction to the South West. By joining this Margaret River tour from Perth, you will get to discover the South West within one day, including the Busselton Jetty, Cape Leeuwin Lighthouse, and much more. Look around as you drive through multiple picturesque towns on your way to the Busselton Jetty, the longest wooden jetty in the southern hemisphere. Next stop is the Bootleg Brewery, where you will get to enjoy a gourmet lunch and taste local beer and cider, right before you head to try the finest wines at the Sandleford Winery. Like many other Margaret River tours from Perth, this guided adventure includes exploring the Mammoth Caves, travelling through the ancient Boranup Forest, and seeing the meeting point of the Indian and Southern oceans at the famous Lighthouse. Of all the Margaret River tours, this one might be the most action-packed day-trip. After visting the must-see Busselton Jetty, you will be taken to a viewpoint where you can enjoy the breathtaking Indian ocean views from Yallingup, overlooking Yallingup Beach. Experience premium wine and chocolate tastings, have lunch at one of the best wineries, and follow it by a stroll through the township of Margaret River. For an aromatic coffee doze, you will stop by the Yahava Koffee Works with various types of coffee from all over the world. This tour from Perth to Margaret River is a perfect introduction to the South West for those who are short on time. The Geographe Bay is situated along the coastline streching from Cape Naturaliste past the towns of Dunsborough and Busselton, to the city of Bunbury. Take a walk at the 2-kilometre Busselton Jetty and do not miss the opportunity to take amazing photos. After climbing the Cape Naturalist Lighthouse for a fantastic panorama, you will head to the Ngilgi cave (previously known as Yallingup Cave) with its gothic-like formations. Delicious food and wine tastings are also in the tour itinerary. Unlike other Margaret River tours from Perth, this tour focuses primarily on the wine tasting experience. You will get to visit 3 or 4 wineries and enjoy a delicious your à la carte lunch. Besides that, you will have a tour at the Chocolate Factory, Olio Bello olive oil farm, the surfing mecca at the Mouth of the famous Margaret River, and Town of Margaret river itself to get a feel of the region. 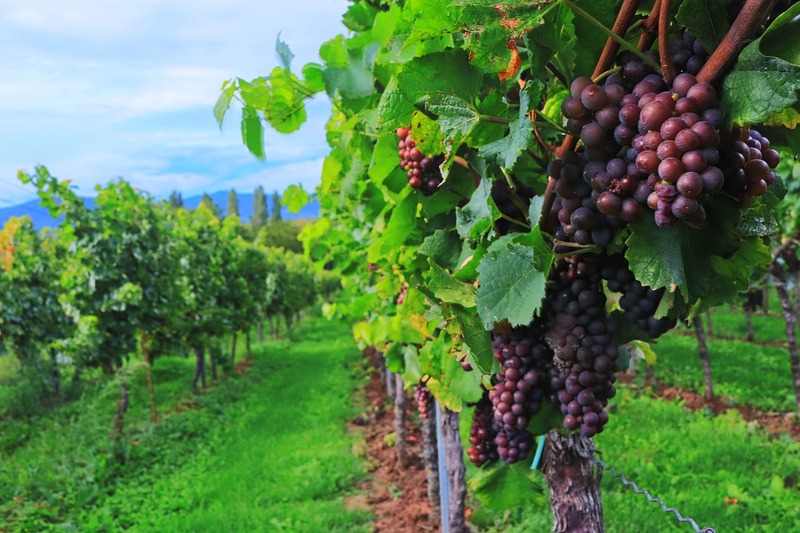 Take in the beauty of the area as you walk through the vineyards and farmlands. This all-inclusive tour from Perth to Margaret River will introduce to you the variety of indulgent experiences and the marvellous nature of the Margaret River region. During your first day, you will cover places like the Busselton Jetty, the famous Bootleg Brewery and Sandalford Winery, the Mammoth Caves and Cape Leeuwin Lighthouse. Enjoy a scenic drive through the picturesque Boranup Forest where you will be amazed by the size of the giant Karri Trees on your way. The following day, you will be able to join the Margaret River Food Lovers Tour and experience a true gastronomic escape, accompanied by wine tastings at some remarkable wineries. One of the most comprehensive Margaret River tours from Perth, this trip is a real adventure around the South West of Australia. This time you do not just pass by the area’s three main townships, but get to embrace the scenic beauty of the coast and explore Busselton, Pemberton and Margaret River to the fullest. You will travel through the Donnybrook’s apple and stone fruit orchards and farmlands of the Blackwood River Valley, see Western Australia’s old growth forest from a watch tower, and experience the “Tree Top Walk” in the Canopy forest. Other things on your itinerary are the majestic Beedelup Falls, Boranup Forest, Augusta, Cape Leeuwin Lighthouse, Surfers Point, Mammoth Caves, Yallingup Shearing Shed, Canal Rocks, and more. Besides the standard package of the Margaret River tours from Perth, this trip includes some unique experiences like Albany and the South Coast. This will allow you to travel through the Stirling Ranges and Porongorups, stop for sightseeing at the base of Bluff Knoll, and then continue to Mount Clarence and the ANZAC Memorial Centre. Visit the famous Whaleworld interpretation centre, the coastal resort town of Walpole, enjoy a cruise in the wilderness area of the Nornalup Inlet and sightseeing at “The Gap” and “Natural Bridge”. Celebrate the region’s food and wine artisans, savor wine and other gourmet tastings, and enjoy the rest of your time in Permberton and Margaret River. This fully narrated tour takes place in Margaret River and will be led by a local guide. If you are travelling from Perth to Margaret River, you will have to organise your own transfer. However, if you are staying in Margaret River, the tour includes a hotel pick-up. Learn more about the aboriginal, pioneer and wine heritage while enjoying wine tastings at the best estates. You will get to visit 7 locations, including wineries, chocolate and cheese factories and a local brewery. All together you will experience 40 products tastings. That’s a real foodie’s treat! If you want to see a little bit more than just foodie spots, join this tour and embrace the region’s beauty while visiting local attractions, such as Leeuwin-Naturaliste National Park, Gracetown, Moses Rock, Willyabrup Cliffs, Canal Rocks, Cape Naturaliste and Hamelin Bay. After visiting the Berry Farm where you can sample homemade jams, preserves and wines, coffee, chocolate and olive oil, and tasting wines at the premium wineries, you will return back home through the majestic Boranup Forest. This tour offers to join local wine, spirits, beer, venison, cheese and chocolate tastings. You will get to learn about the wine making process starting from the vines planting to the oak maturing of wine. Enjoy wine tastings at the intimate and corporate wineries of Margaret River region, followed by lunch at the iconic Watershed Vineyard restaurant. For adventurous foodies, you will have an opportunity to try the local kangaroo, emu and venison at the Margaret River Venison Farm. Margaret River is an amazing playground for food and wine delight, catching a wave, exploring mysterious caves, or enjoying the marvellous landscapes. Whether you decide to join one of the guided Margaret River tours from Perth, or hit the road from Perth to Margaret River on your own, this is definitely the place to go! Please send us an email if you need additional information.